Francis F from Flaherty Physical Therapy, Inc.
"The services and support at Flaherty Physical Therapy are awesome. My therapist was the best. Very knowledgable and complete." Karen C from Flaherty Physical Therapy, Inc.
"When I first came to flaherty pt I could not lift my arm at all. Everyday chores were impossible and I was in constant pain. At flaherty pt they worked with me and gave me a routine I could do at home. Today I am pain free and I have full movement of my arm. Most importantly I do not have any pain any more thank you flaherty pt!!" Karen G. from Flaherty Physical Therapy, Inc.
"Flaherty Physical Therapy is top notch. I started feeling improvement right from the beginning. I had constant pain/soreness in my hip from arthritis and am feeling much better after a short series of visits. They taught me various exercises that really did the trick. I am now able to do my exercise routine without the pain. l highly recommend Flaherty Physical Therapy. - HCanaan"
Harvey C. from Flaherty Physical Therapy, Inc.
"After injuring my knee running, I came to Flaherty PT as I was unable to do most daily physical tasks including stairs and squatting. As an avid workout person, I wanted results quickly without surgery. Elena started me on a mild exercise program and encouraged me to be patient. Each session I felt stronger and was able to do the things I could not do without pain when I started. She progressed my program at the right pace and got me back to where I was before my injury. And she did all that with genuine concern for my recovery, a few laughs, and tough love. I recommend Flaherty PT to anyone with an injury. " Christine M. from Flaherty Physical Therapy, Inc.
"I am so glad my doctor had me come here. I am doing much better and will continue the exercise program and continue to improve." Debra M from Flaherty Physical Therapy, Inc.
"I would certainly be back if and when I need PT. Kevin and the staff are the best." Joyce D from Flaherty Physical Therapy, Inc.
Dave S from Flaherty Physical Therapy, Inc.
"Personalized, on target services. The staff is knowledgable and compassionate. They really worked as a team to help me meet my rehab goals." Mary Ellen M from Flaherty Physical Therapy, Inc.
"Everyone at Flaherty Physical Therapy has been helpful, professional and accommodating. I would recommend them to anyone looking for physical therapy." Gail F from Flaherty Physical Therapy, Inc.
"They helped me get back to 100% when I was pretty low down. " Owen C from Flaherty Physical Therapy, Inc.
Elizabeth F from Flaherty Physical Therapy, Inc.
"I had a really good time being treated. Thank you for the help." Theodor V from Flaherty Physical Therapy, Inc.
Cynthia t from Flaherty Physical Therapy, Inc.
"What an awesome facility. Thank you to Lynne and the rest of the staff who worked with my son Noah and gave him the personal care that helped him recover after his surgery. I would recommend Flaherty Physical Therapy to everyone. " Arthur Glispin from Flaherty Physical Therapy, Inc.
"Excellent service; clean, welcoming environment and amazing therapists. Lisa is super friendly and knowledgeable. She made the visits productive and enjoyable! Would definitely recommend this facility to everyone! " Lisa G. from Flaherty Physical Therapy, Inc.
"The entire team was great. Their knowledge, commitment and caring for my continued improvement were far superior to other experiences I have had." Linda L from Flaherty Physical Therapy, Inc.
"PT has helped me greatly, within a few short months and I cannot thank them enough! Highly recommend! " Analise S. from Flaherty Physical Therapy, Inc.
"This has been a very positive experience. I feel I have gotten a lot from being a patient here and highly recommend. Staff is caring and and knowledgeable. I always felt encouraged." Pamela J from Flaherty Physical Therapy, Inc.
"Awesome experience, there is no "I" in team. Everyone was great." Kathleen M from Flaherty Physical Therapy, Inc.
Christine P from Flaherty Physical Therapy, Inc.
"Beautiful facility and great staff. I achieved my goal of eliminating shoulder pain and learned a fitness program to keep the problem for recurring." Thomas U from Flaherty Physical Therapy, Inc.
"I am very happy that I came to Flahery PT! I am able to do all the things I previously did. My knee feels great and I have gained strength back in it. I would definitely recommend anyone who needs PT here. Also, thank you Lynn!" Paulette W from Flaherty Physical Therapy, Inc.
"I am thrilled to say I'm feeling much, much better after being treated at Flaherty PE by Elena for sciatica. A very friendly and professional atmosphere. Elena had a genuine concern for my pain helped me achieve my goals with her treatments and the advice she gave me on continuing my exercises at home each week. Thank you so much!! " Betsy L. from Flaherty Physical Therapy, Inc.
"Wonderful healing experience. Warm caring, professional treatment from all the staff. My physical therapist, Michelle C. was excellent. Highly recommend Flaherty Physical Theraphy for treatment and recovery from any injury." Joanne L. from Flaherty Physical Therapy, Inc.
"Awesome, state of the art facility. Friendly, professional staff, Michelle Caty is spot on with her assessments and treatment plan. Great job Kevin and Kim, wish you much success." Kathleen Milosz from Flaherty Physical Therapy, Inc.
"My time here has been great. " Talford K from Flaherty Physical Therapy, Inc.
"I have so much respect for you, Kevin. You don't forget your patients after they are done. Thanks for caring. It gives me hope. " Pamela J. K from Flaherty Physical Therapy, Inc.
Angelina G from Flaherty Physical Therapy, Inc.
Michael K from Flaherty Physical Therapy, Inc.
"Flaherty Physical Therapy was a positive experience where I strengthened my knee and got rid of the pain. An added bonus was that all the staff are nice and encouraging people." Ada B from Flaherty Physical Therapy, Inc.
"Great experience--improved well-being. Friendly, supportive, knowledgeable staff and therapists." Julie T from Flaherty Physical Therapy, Inc.
"Friendly staff, great facility, and therapists that really listen!" Trisha O from Flaherty Physical Therapy, Inc.
"I have had a lot of joint replacement surgery. Having quality follow-up physical therapy is essential to regaining a pain-free way of life. The therapists at Flaherty's have been outstanding. I am extremely pleased, and I thank you." John T from Flaherty Physical Therapy, Inc.
"They helped me a lot and it is now possible to do activities that I could not do before." Kylie D from Flaherty Physical Therapy, Inc.
"I would definitely come again next time I need PT." Jocelyn C. from Flaherty Physical Therapy, Inc.
"Flaherty PT was fantastic!I had spine surgery in January and began PT sessions with Michelle L. in March. Michelle was so knowledgeable and patient that I feel better than I have in years!Michelle was always so positive and always helped me with any concerns I had. She always paid attention to my form and was attentive to any needs. I would highly recommend Flaherty PT !! " Sue S. from Flaherty Physical Therapy, Inc.
"I have only wonderful things to say about Flaherty Physical Therapy. I just finished my most recent Rehab with Elena after spine surgery. She was such a great force in getting me to where I am today. My goal was to be back playing golf, and I am now doing it. Elena was positive, paid attention to correct form and very attentive to me each day I was there. I’m first to admit I’m not the most consistent with training, but I always did my best to get there as the whole facility was very comfortable and willing to help. Before this, I had worked with Kevin on a shoulder problem which he really got me motivated to be consistent. I’m looking forward to their aftercare program to keep me on track, this needs to be a lifelong process. Thank you to everyone, from the desk staff and other trainers for helping me to reach my goal. I will surely recommend Flaherty Physical Therapy to anyone in need." Anna D. from Flaherty Physical Therapy, Inc.
Alice B from Flaherty Physical Therapy, Inc.
"The process works! Has a most knowledge staff." Ray H from Flaherty Physical Therapy, Inc.
"Lisa was so patient with my frequent relunctance to submit to painful stretching - reception staff was helpful with asked changes & questions." Janet M from Flaherty Physical Therapy, Inc.
"It does not get any better than Flaherty's. Everything about the facility is conducive to Mojo restoration. From the front desk to the PTs. A very cohesive atmosphere to work on your situation. Thank you Michelle L. for your patience and expertise. A very positive experience. I highly recommend Flaherty's. Joseph D"
Joe D. from Flaherty Physical Therapy, Inc.
Amanda H. from Flaherty Physical Therapy, Inc.
"Lisa was great to work with. This place was awesome." Laurel C. from Flaherty Physical Therapy, Inc.
"I highly recommend Flaherty Physical Therapy! My 13 year old son has neuropathy and was in a lot of pain. Kevin (his therapist) was able to give him exercises to help him not only decrease his pain level, but also increase his strength and range of motion! Kevin made him work hard but never overworked him! It was just right! Also, the staff is very polite and always quick to get back to me if I had a question. The facility is clean and roomy, making it a comfortable place to be. If we ever need physical therapy again, I will not hesitate to go back!!" 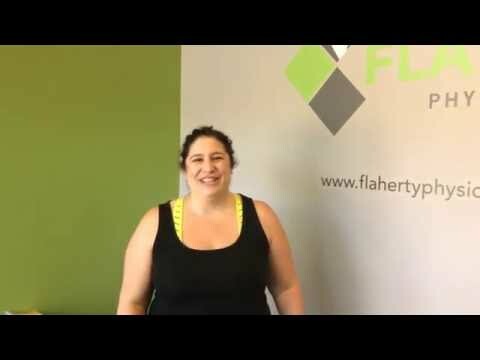 Kerry D. from Flaherty Physical Therapy, Inc.
"My experience at Flaherty Physical Therapy was superb. The variety of experiences and the attention to my problem will allow me to continue with confidence." Kathleen H from Flaherty Physical Therapy, Inc.
"My experience at Flaherty Physical Therapy was superb. The variety of exercises and the attention to my problem will allow me to continue with confidence at home. " "Very clean facility; friendly, fun office staff, attentive and caring therapists. " Marcia M from Flaherty Physical Therapy, Inc.
"5 Stars This was a very positive experience ! All of the staff are so pleasant and upbeat. The front desk staff are especially friendly, efficient and helpful. The care is very individualized to your physical needs. You always have the undivided attention of your assigned therapist. Michelle L. was the perfect therapist for me. She was patient and kind and provided a challenging program to help best meet my goals. As part of the program they would like you to follow-up with them in 60 days to make certain you continue to make progress after your individual therapy is completed. I would highly recommend Flaherty Physical Therapy for anyone requiring this service. Thank you to the entire team!" Shelley M. from Flaherty Physical Therapy, Inc.
"Everyone was friendly and caring. From what I saw very professional with their clients." Jane P from Flaherty Physical Therapy, Inc.
Robert N from Flaherty Physical Therapy, Inc.
Jean K. from Flaherty Physical Therapy, Inc.
Clavdio C from Flaherty Physical Therapy, Inc.
"Flaherty is a great place for PT. The therapists are knowledgable and help you accomplish your goal. The staff is all great and I would highly refer anyone to go here if needed." Thomas S from Flaherty Physical Therapy, Inc.
"Flaherty PT was a great experience in a nice peaceful environment. All the therapists where very professional, polite and caring." Jill B. from Flaherty Physical Therapy, Inc.
"I highly recommend Flaherty PT. I had a shoulder issue that I ignored for months. Elena helped me get stronger, gave me great exercises for home, and now I am pain free. Thank you Elena!" Barbara B. from Flaherty Physical Therapy, Inc.
"I've had the pleasure of working with Michelle as my PT. She has been more than professional, yet very caring. I pulled my hamstring and she has worked me hard, ensuring a fast recovery. I can't say enough good things about Michelle, and the entire staff who have always made me feel welcome during my visits to Flaherty PT. " Steve R. from Flaherty Physical Therapy, Inc.
"I am so happy I was referred to Flaherty PT. Everyone genuinely cares about your recovery and future health after your discharge." Derek B from Flaherty Physical Therapy, Inc.
"My time spent here was excellent.therapy elana and Kevin gave was great.my back is without pain and stiffness . I would recommend flaherty physical therapy "
Charles H. from Flaherty Physical Therapy, Inc.
"Great job making patients feel comfortable. It felt as though you guys were truly interested in your patients rather than just doing the bare minimum." Sarah W from Flaherty Physical Therapy, Inc.
"Lisa was outstanding. The knowledge and clinical expertise guided me as I steadily progressed on my recovery. Sue was responsive to my inquiries and she explained in detail what her expectations were related to my specific needs/goals." Patricia D from Flaherty Physical Therapy, Inc.
"Great experience in physical therapy, my back and neck are free from pain. Excellent therapy and comfortable, welcoming atmosphere." Ann D from Flaherty Physical Therapy, Inc.
"My experience at Flaherty Physical Therapy has been very positive. The staff has also been very helpful and pleasant to work with." Mary B from Flaherty Physical Therapy, Inc.
"I came to Flaherty PT with neck and shoulder pain that limited my movement and made sound sleep difficult. Working with Kevin over several weeks, I adopted better habits, mobility, and posture. I took away a plan for home and work exercises to curtail further issues. Kevin is an expert therapist and Flaherty PT will be my first choice for any future concerns." "They are excellent here! The therapists and staff are highly recommended! " Mark S. from Flaherty Physical Therapy, Inc.
"Flaherty Physical Therapy was awesome! Everyone there is knowledgable and professional. My neck pain is much better, and I have a healthier general workout routine now thanks to Kevin. " Joyce M. from Flaherty Physical Therapy, Inc.
"Great staff and all goals were reached." Liam O. from Flaherty Physical Therapy, Inc.
"Personalized, on target services. Knowledgeable, compassionate staff. Really worked as a team to help me meet my rehab goals." "Personalized, on target, services. Knowledgeable, compassionate staff. Really worked as a team to help me meet my rehab goals." Mary Ellen M. from Flaherty Physical Therapy, Inc.
"Everyone was super nice. From the front desk staff to the owner Kevin. My therapist Elana was super knowledgeable. She knew when to push me and when to back off. I will miss her. I would 100% recommend them to a friend. " Craig Colonero from Flaherty Physical Therapy, Inc.
"Very good experience caring physical therapists. Flexible schedules." Jill K from Flaherty Physical Therapy, Inc.
Phyllis P from Flaherty Physical Therapy, Inc.
"Great experience. Laura and Lisa were very helpful and professional but kind. It was my experience with PT and I didn't know what to expect. I am very happy to have improved so rapidly, and I feel like I have learned tools to help me stay pain-free, or deal with any minor reoccurrence. " P S from Flaherty Physical Therapy, Inc.
"5 stars=therapists are very friendly, caring and knowledgeable." Gloria A from Flaherty Physical Therapy, Inc.
"Excellent experience with a knowledgeable therapist. PT needs and activity level addressed and incorporated the treatment plan." Jean C from Flaherty Physical Therapy, Inc.
"Excellent experience with a knowledgeable therapist. PT needs and activity level addressed and incorporated treatment plan." Jean C. from Flaherty Physical Therapy, Inc.
"Everyone needs a physical therapist like Kevin and his staff!! I came in with many gaits, balance, endurance, stiffness, and pain issues but have commitment for an ongoing plan for fitness. I highly recommend Kevin and his staff, they are compassionate, competent, careful, with realistic recommendations, and humor too." Carolyn S. from Flaherty Physical Therapy, Inc.
"I found Flaherty's therapy very professional and knowledgeable to assist, not only in my therapy for my knee replacement but also to rid me of my back, leg and ankle pain. They center on the whole person, providing me with balancing exercises for my Parkinson's Disease." Patricia A from Flaherty Physical Therapy, Inc.
"My therapy at Flaherty Physical Therapy was very helpful. I have increased mobility and little pain. The facility is well equipped and attractive. The staff are all welcoming and professional." Daniel M from Flaherty Physical Therapy, Inc.
"Kevin and members of his team took care of my son post ankle surgery. They were excellent and I would recommend their services to my friends. Kevin is very knowledgeable and his staff is professional and friendly. Thank you!" Ironson C from Flaherty Physical Therapy, Inc.
"I'm pleased with the results and would not hesitate to recommend Flaherty." Linda P from Flaherty Physical Therapy, Inc.
"I am very pleased that I went to Flaherty Physical Therapy. I had the best physical therapist I ever had and I worked with the same therapist throughout my care. My program was modified to meet my needs. I highly recommend Flaherty Physical Therapy." Jaqueline T from Flaherty Physical Therapy, Inc.
Barbara J from Flaherty Physical Therapy, Inc.
"If you need therapy after injury or surgery, this is the place to come." Cindy B from Flaherty Physical Therapy, Inc.
"Jennifer and her crew were all helpful and encouraging. I also observed they treated other clients the same way." 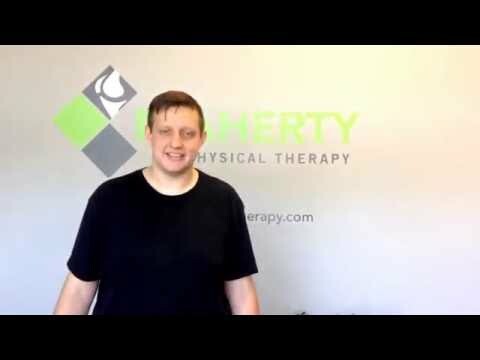 Steven L from Flaherty Physical Therapy, Inc.
"I'm very pleased with the progress I made at Flaherty. Laura guided me through the recovery process and prepared a personalized home program for me. I would highly recommend Flaherty Physical Therapy"
John F from Flaherty Physical Therapy, Inc.
"Very friendly very knowledgeable they work you hard but the end results were great"
Elizabeth S from Flaherty Physical Therapy, Inc.
"I am most pleased with the physical therapy treatments I received. It was a good experience and I felt I benefited greatly. I would return to Flaherty PT in the future. I recommend you highly." Janice R from Flaherty Physical Therapy, Inc.
"This place provide wonderful service. I had chiropractor, massage and physical therapy in another place with my herniated disc after a car crash by a drunk driver before I choose this place. All the previous services did not help me much. My back was very painful and it was hard for me to walk. Two neurosurgery doctors told me that I need to have surgery. I went to Flaherty physical therapy place for last trying. If this one doesn't work, I will have a surgery. Ms. Laura Turner taught me some exercises and did some treatments for me. After one month, my back pains and leg pains are reduced. After 6 weeks, my back pain disappeared and my leg pain was almost gone. After two months, I went back to work. Now i can walk and work without any pain on my back. I successfully avoid a surgery. Ms. Laura Turner has excellent experience and wonderful education. She is very knowledgeable. Last week, she told me that I didn't need to have physical therapy. Now, I feel great and can walk without any pain. Thank you very much for the wonderful services!!!" Peter L from Flaherty Physical Therapy, Inc.
"I feel I received excellent therapy. Lisa was great!! I have no pain at this time and can do all of my morning activities." Maureen C from Flaherty Physical Therapy, Inc.
John P from Flaherty Physical Therapy, Inc.
"The friendly, skilled and patient at Flaherty's is exceptional. I've followed Kevin from 3 of his lost accents and was so thrilled to find him decently and opening his own practice. We are fortunate for his gifts and knowledge applied with gentle and genuine concern." Hazez R from Flaherty Physical Therapy, Inc.
"I had full hip replacement and the team at Flaherty took care of me. Specifically my physical therapist Michelle. She was great. She took the time to understand and review my goals and test my strength/flexibility prior to starting my treatment. Her professionalism and demeanor are fantastic. I felt we worked together as a team to develop and deliver a therapy plan that worked for me. I recommend Michelle and the team from Flaherty if you are looking for or need physical therapy." John B from Flaherty Physical Therapy, Inc.
"Very pleasant with my instructions"
Marilyn J from Flaherty Physical Therapy, Inc.
"This was a wonderful experience even though I started with pain and unable to walk. The whole staff were pleasant and helpful. Lisa, my Physical therapy professional, was extremely knowledgeable and able to help me." Penny B from Flaherty Physical Therapy, Inc.
"I have greatly benefitted from Flaherty Physical Therapy. They are very knowledgeable and care about their clients. Laura was my therapist and she was fantastic." Jack D from Flaherty Physical Therapy, Inc.
"Couldn't have been more pleased with the therapy I received. Have been to other places in the past but this is my far the best and most productive therapy I have received." Joanne S from Flaherty Physical Therapy, Inc.
"Every appointment I left feeling I had the best possible therapy. I would recommend this to family and friends." Evelyn M from Flaherty Physical Therapy, Inc.
"Lisa helped me get back to feeling great again. Everyone in the office was wonderful." Karen L from Flaherty Physical Therapy, Inc.
"Fixed my frozen shoulder and got me back from driving a car was difficult to driving a golf ball on the links with no pain! Due to my schedule I rotated through three different therapists and highly recommend them all! Kevin, Michelle and Lisa are each excellent! Using the massage therapist A. Cameron also was beneficial for my injury. Help yourself heal-book therapeutic massage as well! You are in good hands at Flaherty Physical Therapy." Lynn B from Flaherty Physical Therapy, Inc.
Anthony P from Flaherty Physical Therapy, Inc.
"Fantastic treatment, Kevin and Elena helped me achieve and exceed my goals. I highly recommend them"
Darren C from Flaherty Physical Therapy, Inc.
"Very nice people work with help out in the best ways get you back normal with very good exercises that are easy at home Would definitely come back if I ended up with another injury"
Josh b from Flaherty Physical Therapy, Inc.
"Great experience. Took time here." "Excellent care. Great results. Helpful home exercise program"
Jean A from Flaherty Physical Therapy, Inc.
"Hi guys ive been trying to call since 845 but there was no answer. I twisted my ankle getting outof the car this morning and its really swollen and painful so i am not coming in for my 10am appointment. Hopegully you get this email in time"
Lauren g from Flaherty Physical Therapy, Inc.
"Flaherty Physical Therapy, that is the attention and expertise Kevin showed me, brought me along so that I could resume normal life to the fullest. My therapist was skilled and he knew my limits. His encouragement, his manner and his sense of humor were all deeply appreciated." "Very compassionate and thorough with treatment and exercise. A very pleasant atmosphere too! I highly recommend Flaherty Physical Therapy to all my friends"
Carole A from Flaherty Physical Therapy, Inc.
"Very Compassionate and thorough with treatment and exercises. A very pleasant atmosphere too! I highly recommend Flaherty Physical Therapy to all my friends." Carla A from Flaherty Physical Therapy, Inc.
"Team did an excellent job - I had a hip replacement, Kevin developed a specific program to rebuild strength in my leg and put me on a path to a return of flexibility. I could also take what I learned and use that in my own routines at my gym. Highly recommend." Jack K from Flaherty Physical Therapy, Inc.
"Fantastic, professional and personable staff. Very accommodating with scheduling appointments. Extremely thorough with diagnosis and treatment." Aaron J from Flaherty Physical Therapy, Inc.
"I received good care and attention. Not like at a P.T. I went to before." Mary A from Flaherty Physical Therapy, Inc.
"Overall a great experience. Would highly recommend to everyone." Elaine B from Flaherty Physical Therapy, Inc.
"Awesome experience. .love you guys"
Carlos v from Flaherty Physical Therapy, Inc.
"I would definitely recommend Flaherty Physical therapy to anyone suffering from back and neck pain. The exercises I was given have been very helpful to me and are easy to do at home. I would recommend Laura!" Debora B from Flaherty Physical Therapy, Inc.
"Did a wonderful job and worked with me without rushing anything. Took the time and care to make sure you can succeed." Paul C from Flaherty Physical Therapy, Inc.
"Flaherty's has been a great experience. You certainly know from beginning to end that they have concern for your healing and care about helping you. They help you understand what your goals are with lots of encouragement. Thank you for being here." Constance A from Flaherty Physical Therapy, Inc.
"Excellent physical therapy-the place to go for the best care-and for all ages." Alice S from Flaherty Physical Therapy, Inc.
"Our experience with the entire staff was extremely positive and professional. Fromm booking an appointment to to the actual sessions we were always impressed. We were very concerned about our son but were reassured and confident with every interaction!! Thank you!!" Dan C from Flaherty Physical Therapy, Inc.
"Excellent knowledgeable staff who facilitated my injury recovery. Great experience here. I highly recommend Flaherty PT." Ashlea M from Flaherty Physical Therapy, Inc.
My “mojo” is back on track! This is because of Kevin’s sessions. I feel, after my right hip replacement in January, that under his care, I have made an excellent recovery. I have no hip pain and with Kevin’s gentle instruction and his explanations of what muscles are working and healing, I feel helped me to heal faster. As Kevin has said, “Focus on following the exercises as directed daily and you will see and feel many gains.” I found that my spirit is much happier and my life’s pleasures have been greatly increased under Kevin’s care. I had a terrific experience at Flaherty Physical Therapy. Before coming in I was a bit hesitant because all the other PT establishments I attended really didn’t fix my issues. I am happy to say this PT fixed me completely. If I ever have any other issue, I know where to go. From the beginning of physical therapy until now, I feel amazing. Going through this process before, I knew the obstacles that were ahead of me, but with working with Kevin, I never had any doubts that I’d be back to 100 %. The work that we did together and the home workouts he gave me, they were just what I needed. I know that by following the regimen that’s been given to me, my shoulder isn’t going to give me any issues. I came in with some mojo and in a sling, but I now leave feeling truly great and with some more Mojo! Thank you Kevin and Alanna for everything. My Mojo is vastly improved. In February I couldn’t sleep in bed nor lift my left leg without help from both hands. I am able to walk some distance without a cane and I have virtually no back pain. Kevin is excellent to work with and I actually looked forward to my therapy sessions. Alanna is most pleasant and excels in customer service. Kevin showed me the importance of core strength and stretching. I can say that I didn’t have a Mojo when I walked in here for the first time. I now have a better foundation to build off of to become stronger and healthier. Kevin was very helpful in getting Zach’s (our 10-year-old) Mojo back. Zach was experiencing a lot of pain in his legs and hips due to growing pains. This pain impacted his ability to walk run and pay. Kevin has a very engaging and supportive approach. Zach wanted to go to his appointments and did well in his sessions. He did struggling with completing his home exercise program. Kevin did a nice job of engaging Zach in a conversation about this. He was able to reinforce this in a caring manner so that Zach worked more independently with his exercises program. Thank you Kevin and Alanna! When I can into the office it was difficult to walk or run in a normal manner. After a few weeks of the exercises and therapy, my foot progressed very well and now I am able to fully run and exercise without restriction. There is no pain felt during walking out of any residual pain afterwards. When our son, Zack, needed a physical therapist to rehab from labrum surgery, a friend recommended Kevin Flaherty. We were pleased with how quickly Kevin was able to evaluate and develop a personalized plan for Zack. Although Kevin proved to be an excellent physical therapist, we were most impressed with how he helped Zack approach the mental challenges of recovering from his first major sports injury. He was constantly checking with him and motivating him to ensure that he maintained a positive attitude throughout the long rehab process. We believe that Kevin was instrumental with Zack’s successfully recovery which has allowed him to play baseball at Union College. On July 20, 2013, I was playing basketball and ruptured my patellar tendon in my left knee. I had successful surgery to repair it on July 30, 2013. The surgeon gave me a timeline of 8-10 weeks in a brace, and 12-18 months to be back to my normal activities. After three weeks of rest, I began physical therapy with Kevin Flaherty. My sessions were one hour long and two times per week. They started on August 21st and continued through the end of October 2013. Before starting P/T, Kevin took time to explain the process of rehabilitating my knee, including exercises and treatments. When we began, I was very nervous and unsure of how my knee and tendon would respond to the exercises & movements he described. I quickly realized he was very much aware of the thresholds I could tolerate. Kevin did a great job listening to my input and reaction to the movements and exercises I performed. He also made sure he explained things thoroughly which really put me at ease and gave me the confidence to trust him and trust that the repair was healed strong enough to handle the exercises. During my regular sessions with Kevin, he took me through a progression of exercises, including strength training and weight lifting, which I felt were at a pace and challenge I could handle. I really enjoyed the variety and purpose of each exercise. I am very fortunate to have had Kevin as my Physical Therapist. I truly believe I was able to get back to my normal activities because of his hard work, dedication, knowledge/experience, and concern for his clients. Again, the surgeon said my recovery would probably take 12-18 months to resume normal activities. I had a follow up visit with my surgeon and got his signoff that I was 100% healthy and cleared to resume my normal activities (including basketball and skiing) on November 14, 2013!! For those keeping track, that is just under 4 months after my injury occurred!! I am convinced this was a direct result of Kevin Flaherty’s knowledge and skill!! I highly recommend Kevin to anyone in need of physical therapy. Since receiving the green light from my surgeon, I’ve resumed playing golf, running, skiing, and even basketball! I’ve been able to do all of these things with no limitations or pain! I fortunately haven’t had the opportunity to need physical therapy, but my son and daughter have. My son had a very painful issue with his ankles called Sever’s disease, which is an inflammation of the growth plate in the heel, and my daughter with a fractured wrist. From day 1, Kevin took the time to explain to them the process of physical therapy and how important it was to their recovery. He was very detail-oriented during their sessions, taking the time to explain everything to them as they went along to ease any anxiety they may have had. He taught them the proper exercises for them to do on their own at home and in a fun way; but most importantly, he made sure at each session they were progressing on their road to recovery. Whether young or old, or somewhere in between, I would highly recommend Kevin for your physical therapy needs.